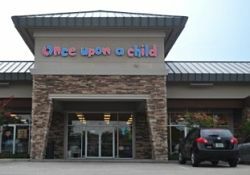 Successful Once Upon A Child Store for Sale in Orlando, Florida. Once Upon A Child is ranked #129 in Entrepreneur Magazine's 40th Annual Franchise 500. They have also named Once Upon A Child as the #1 franchise in the Children's Retail category. The business model - buying and selling gently used infant and kids toys, shoes, apparel and equipment - is proven to be successful. The current owners opened this business in 2014. They are multi-unit operators looking to downsize their operation. Staff, inventory, and procedures are all in place and ready for a new owner to step in to take the business to the next level. Customer counts and sales in this location continue to build. System average is just under $1,000,000 and this business is located in an area that has a very high concentration of children with lots of brand recognition so there is plenty of room to grow.